David Baddiel sounds like a man who suddenly realises he is standing holding a bomb in his hands and the fuse is lit. “I woke up in a cold sweat,” he recalls of the night it was confirmed his now close friend Omid Djalili would star in The Infidel. As introspective and self-effacing as ever, Baddiel is on the phone to The Big Issue from Sanderson Hotel in London, where he’s been holed up for a day of press. There’s no way of telling whether he is wearing a tin hat, but considering the subject matter of his big screen debut, you wouldn’t be surprised if he was. Baddiel – whose comedy often pivots on challenging people’s prejudices, right and left wing alike – has written a story that casts larger than life stand-up comic Omid Djalili as Mahmud, a British Muslim reeling from the discovery that not only was he adopted at birth but, shock horror, that his true parents were Jewish. Considering just how sensitive an issue religion can be (Salman Rushdie, anyone?) it seems incredibly brave of Baddiel to tackle such an issue head on – and with such broad comedy. “I’ve never stopped myself writing what I wanted to write, because then you must second guess people’s reaction and I just can’t work like that. But I’ll be honest, I was expecting a lot more trouble than there’s been,” he concedes. It’s easy to see why. Family man Mahmud, a “Muslim Homer Simpson” Baddiel calls him, befriends his Jewish black cab driver-neighbour Lenny Goldberg, played by Richard Schiff, The West Wing’s Toby Ziegler, and recruits him in a desperate attempt to find his dying biological father in time to learn about his Jewish identity. More pertinently, he must do so on the hush until he works out how to explain his recent genealogical revelation to his devoutly Muslim family. Throw in a subplot about Mahmud’s son planning to marry a young Pakistani woman whose father happens to be a fanatical Mad Mullah-style cleric; a volatile pro-Palestine rally featuring the burning of a kippah, a skullcap Jewish men use to cover their heads, and a scene with Djalili dressed in concentration camp clothes – you might begin to wonder why the forces of Mossad and Tehran aren’t chasing Baddiel right now. Not that anything would really surprise you about a comedian who has carved for himself a unique niche in Britain’s entertainment industry. A product of a middle class, north London Jewish family, he won himself a place at King’s College, Cambridge, and gained a double first. To some, this marks him out as one of the intellectual elite, able to open doors other comics and writers can only dream of reaching. Yet Baddiel found fame as one of the first 1990s lad superheroes, the rude boys who “turned comedy into the new rock’n’roll” with The Mary Whitehouse Experience. He followed that up by teaming up with his Brummie flatmate Frank Skinner, for whom the phrase “man of the people” might have been invented, to create Fantasy Football on TV. Then he took the England anthem ‘Three Lions’ to the top of the charts and wrote endless newspaper columns on David Beckham’s foot and Sven Goran Eriksson’s tactics. But the average football fan always knew he was literary at heart, and Baddiel surprised no one when he relaunched himself as a serious novelist and a regular on the Man Booker pundit circuit. He was, throughout, an intellectual at heart who often seemed slightly embarrassed by his success telling rude jokes. He’s now a family guy, living in London with his long-term partner, the comedy actress Morwena Banks, and their two children, Dolly and Ezra. But somehow neither persona squares well with the undersized, stubbly, self-effacing man on the other end of the phone, who has talked openly about being the victim of racist attacks, public fallouts with friends and crippling depression. Baddiel describes his formative years as an “ordinary Jewish” upbringing in Dollis Hill, London, and says his idea to write about a Muslim man finding out he’s Jewish had its roots there. “As a kid in London if I wasn’t beaten up for being Jewish, I was beaten up for being Pakistani,” he remembers. “Lots of people thought I was Pakistani when I was first on TV. I remember a woman coming up to me once and saying she thought I was the funniest Indian comic she’d ever seen. It was only when I saw Omid on TV and I thought he could be either Muslim or Jewish; the idea crystallised from there.” A memorable scene in the film features Mahmud all at sea as he immerses himself in Jewish culture at a friend’s bar mitzvah. He’s eventually frog marched on stage to tell a few traditional Jewish jokes, the snag being his crude knowledge of north London’s Jewish community goes no further than “they support Spurs, have big noses and like money”. Mahmud also brands his future father-in-law “fundamentalist fatty fatwa face”, riffs about young male Muslim backpackers who “can clear a Tube carriage in seconds”, and jokes about circumcision. There’s more to The Infidel it than just 100 minutes of religiously-inspired one-liners. The approaching death of Mahmud’s terminally ill biological father underpins the action. Without it, we’d be lost to explain why Mahmud feels the need to risk his family life, friendships and his wavering faith over knowledge of his real parentage. “One of the things people have said to me about the film is they were surprised there are melancholy moments in it,” Baddiel says. “There is sadness and regret, but I think that’s because it’s a 45-year-old man who’s written it and those things are in my life. I just wanted to make it a real thing and show that, despite the humour, Mahmud is a guy with pain in his life that he’s not had before. “The film isn’t really about religion,” he continues. “It’s certainly not about anything sacred, and actually in the end it’s quite reverential towards objects of faith. 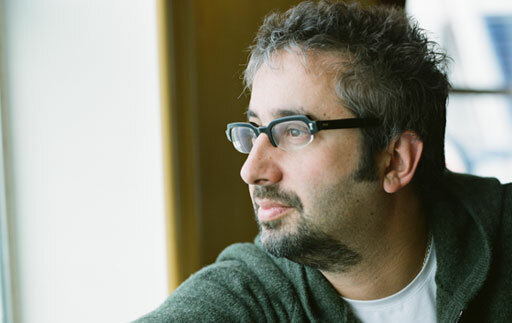 What it is about is the preconceptions we have of people and the breaking down of those stereotypes.” As for Baddiel’s own religious beliefs, he says he’s an atheist but “very proud to be Jewish”. “I was brought up Jewish, I’ve got loads of cultural baggage from it. I love its culture and comic tradition especially,” he adds, before pausing to consider.